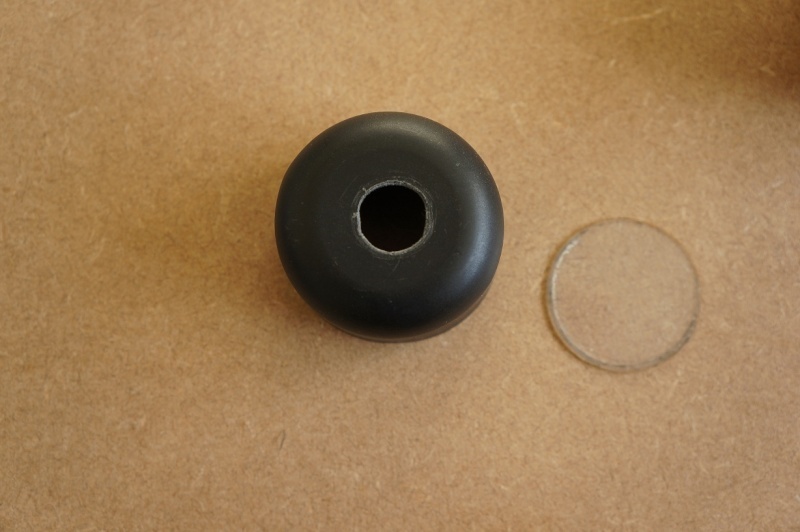 A watertight housing for an 808 key fob camera. This is my attempt at a watertight housing for my 808 keyfob video camera. 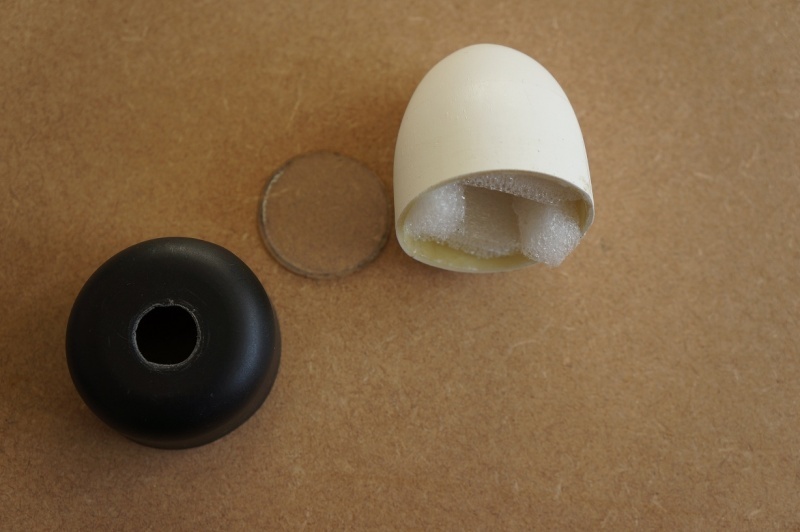 The main casing is part of a redundant Models By Design torpedo which came with my Biber, the lens cover is a cap from an aerosol deoderant tin and the lens is just a piece of clear plastic sheet which will be glued into the cover with silicone sealant. 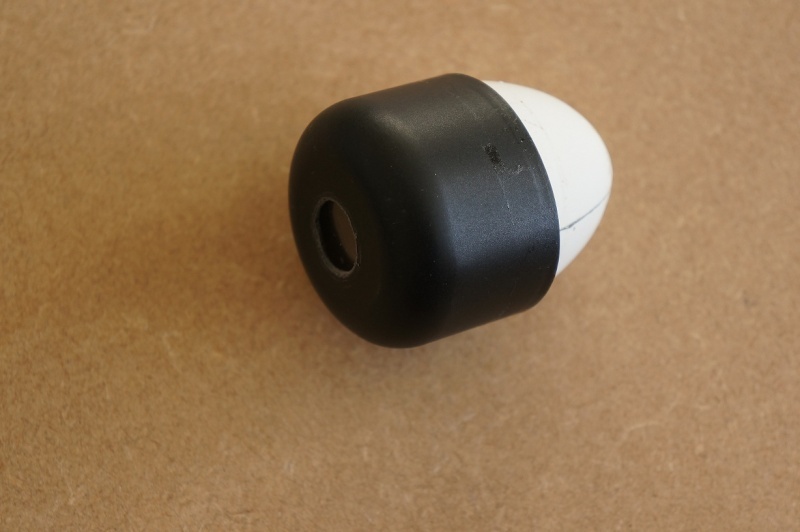 The camera slides into the main casing and is wedged into position with foam pieces, and the whole lot is then sealed with a few turns of plastic silicone sealant. Eventually I'll make up a quick release bracket to attach it to the Neptune, but it does fit perfectly well with a large elastic band. 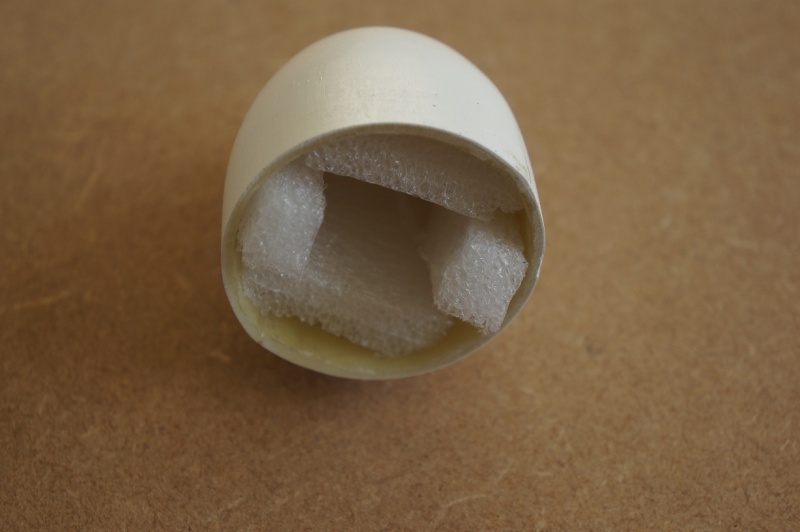 An alternative housing which was suggested by a Model Boat Mayhem forum member was to use a Kinder egg case, but I haven't tried one, so I don't know if the camera would fit inside.